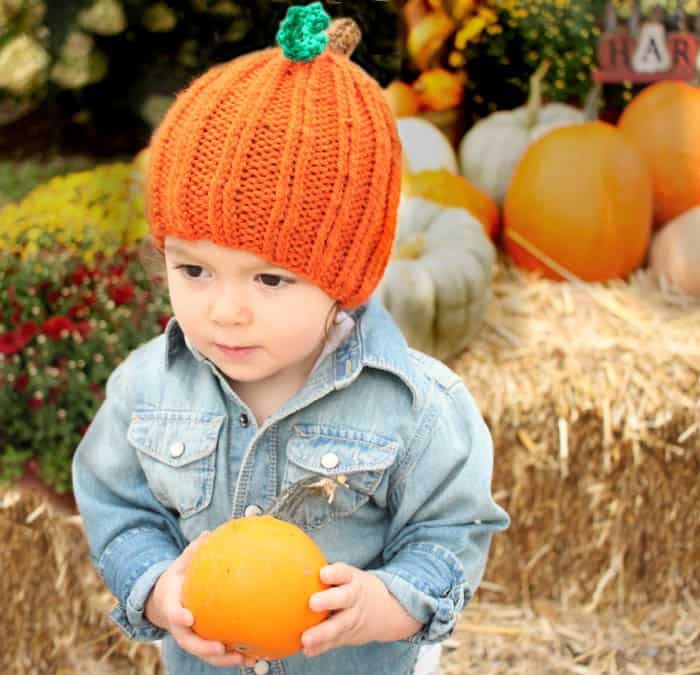 The weather is finally starting to cool off so ,naturally, Indigo needed a pumpkin hat =). I chose Lion Brand Vanna’s Choice yarn since it was a good weight for this time of year (bonus points for coming in the perfect pumpkin orange color!) Basic ribbing mimics the ridges on pumpkins. The stem is knitted on double point needles and the vine is made using (very basic) crochet. Enjoy the pattern! Using the circular needles, Cast on 64 sts. Work in K2, P2 ribbing for 6 1/2 inches. Switch to the green yarn and knit in the round until the steam measures 2 1/2 inches. Cut the yarn, thread it through a yarn needle and thread it through the remaining stitches. Pul to close. Weave in ends. Using a size J crochet hook, make a chain of 30 stitches. For the next row, single crochet in every other stitch. 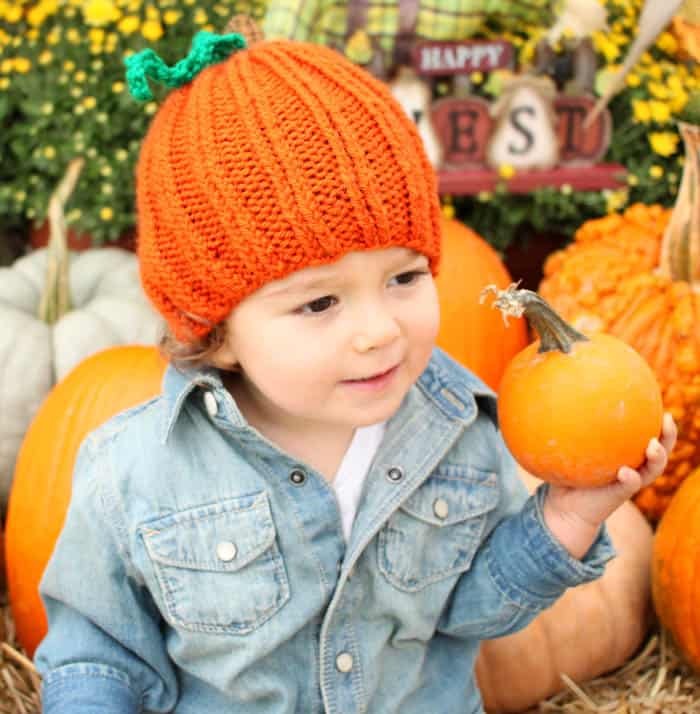 Make a knot and attach to the hat. 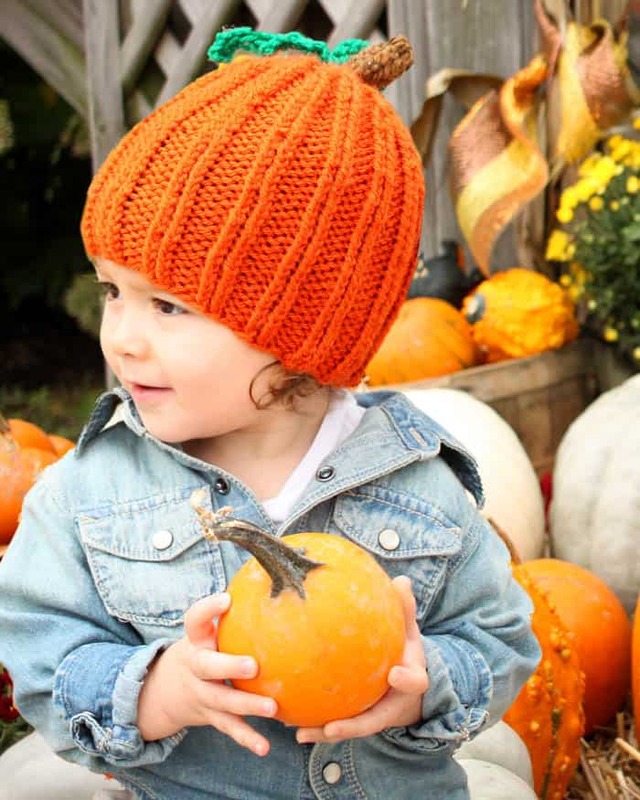 Adorable pumpkin hats for both babies and toddlers. Could be made with any color yarn, too! Thank you.